If there’s one holiday that master-planned communities (MPCs) do better than others, it’s Halloween. As a small community of its own, an MPC is the prime setup for filling up trick-or-treat bags and enjoying festivities with neighbors. With so many neighborhoods in MPCs, there are a lot of houses to visit in walkable proximity via sidewalk. You got it, kids — that means more candy per square mile. And for the ones accommodating the little candy solicitors, MPCs have local businesses and grocery stores right around the corner for any last-minute costume fixes or candy bowl refills. These local businesses may even participate in trick-or-treating like at Colorado’s Highlands Ranch community, where kids pick out a pumpkin and collect candy from employees. A great (and tiring) thing about Halloween is the opportunity to parade around the neighborhood, but sometimes at a cost to costumed feet. Fortunately, MPC residents with electric vehicles (EVs) like golf carts don’t have to worry about forgoing fun and funky heels. With wide EV paths for pedestrians and golf carts to share, the whole family can get around quickly (and easily lug around those ambitious pillowcases of candy). Another fun option for families- safely decking or spooking out the EV (not imparing driving visibility) for the occasion. 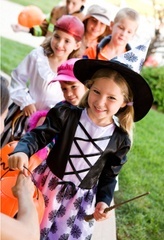 A plethora of planned activities help residents get in the Halloween spirit. 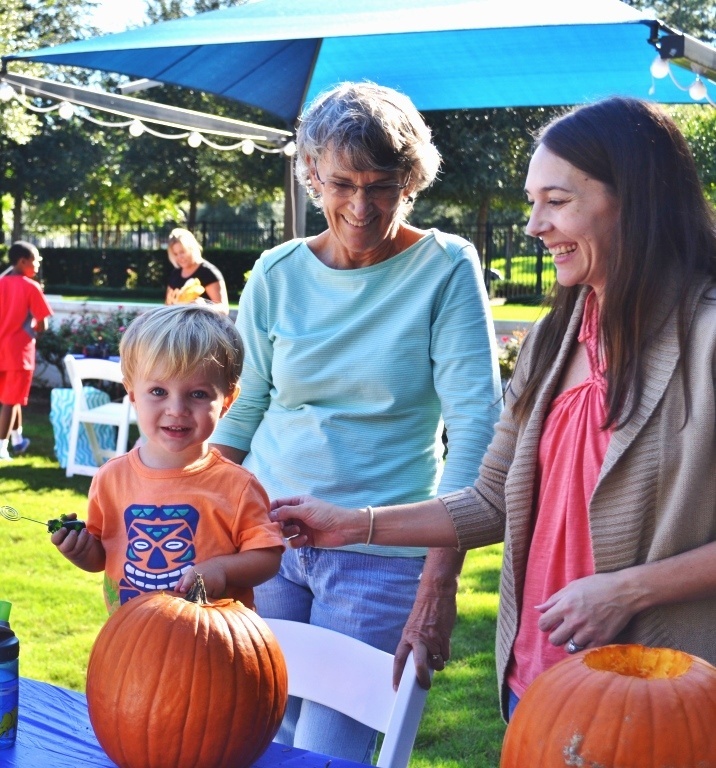 Many MPCs have festivals and activities for residents of all ages, like Nocatee’s family pumpkin carving event. Competitions — Cross Creek Ranch in Texas holds a Scarecrow Festival where residents decorate a scarecrow to win a prize. 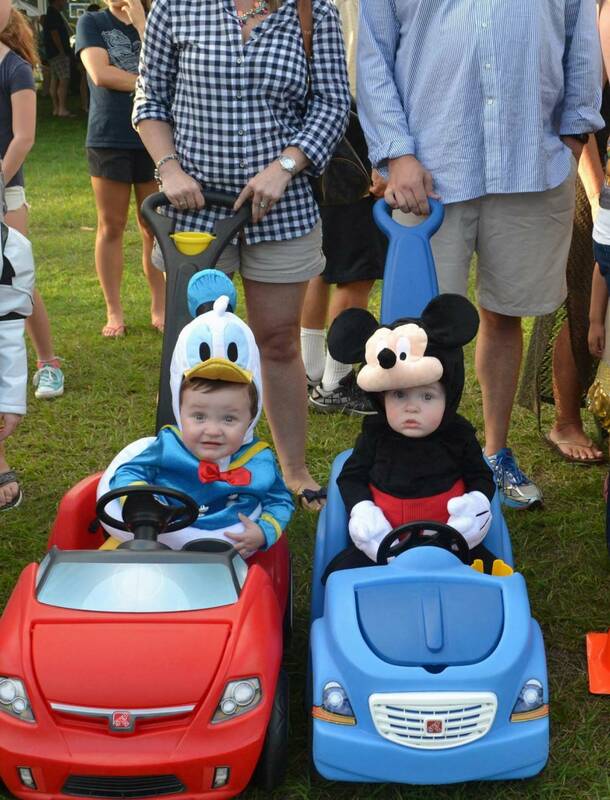 Nocatee's annual, family-friendly Halloween Party always features a costume contest with various categories. Markets — Serenbe in Georgia has local farmers and artisans set up shop for their residents for an October-themed marketplace. Nocatee’s Oktoberfest makes sure adults have just as much fun as the kids with German beers and entertainment. Spooky fun — Highlands Ranch in Colorado has a paranormal party, a haunted forest, and even a haunted hayride. Furry friends — Nevada’s Mountain’s Edge MPC holds a pet costume contest that doubles as an adoption event. MPCs know how to make Halloween about community, safety and family festivities — the perfect potion that even the craftiest of witches would envy. 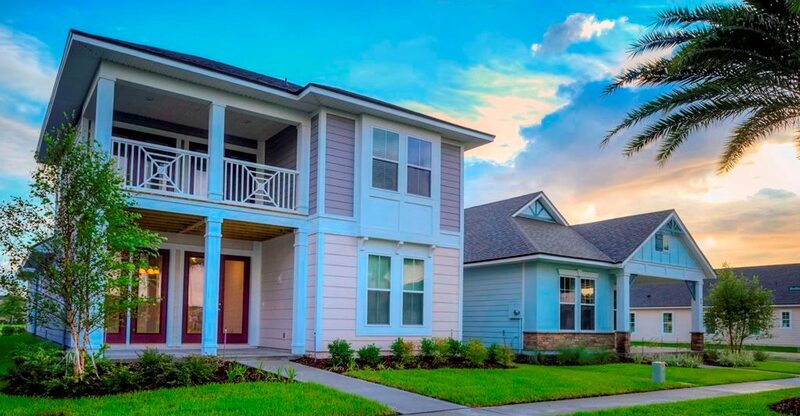 To learn more about new homes available in Nocatee, visit nocatee.com, call 1-800-NOCATEE or stop by the Nocatee Welcome Center.